Glisten up… because you’ll want to catch every brilliant detail about our high-gloss Serum, which is destined to become your new go-to shine source from this day forward. Just a drop or two, and we’re talking unparalleled gleam, color vibrancy, and actual protection against dryness, frizzies, and flyaways. Apply one-to-three drops to damp hair, prior to blowdrying or styling. Add a bit more here and there for spot shine or to tame pesky fly-aways. Bio-Advanced Peptide Complex and Keratin Silicone Complex work to seal and protect the cuticle, while Macadamia Seed and Evening Primrose Oils are responsible for featherweight moisture and powerful antioxidants. Cyclopentasiloxane, Dimethicone, Phenyl Trimethicone, C12-15 Alkyl Benzoate, Macadamia Ternifolia Seed Oil, Hydrolyzed Keratin, Cocodimonium Hydroxypropyl Hydrolyzed Keratin, Hydrolyzed Keratin PG-Propyl Methylsilanediol, Thioctic Acid, Psidium Guajava Fruit Extract, Sodium Ascorbyl Phosphate, Tocopheryl Acetate, Oenothera Biennis (Evening Primrose) Oil, Aleurites Moluccana Seed Oil, Glycolipids, Allantoin, Aloe Barbadensis Leaf Juice, Butyl Methoxydibenzoylmethane, Hyaluronic Acid, Glycerin, Water/Aqua/Eau, Benzyl Salicylate, Butylphenyl Methylpropional, Citronellol, Hydroxycitronellal, Hydroxyisohexyl 3-Cyclohexene Carboxaldehyde, Limonene, Fragrance/ Parfum. 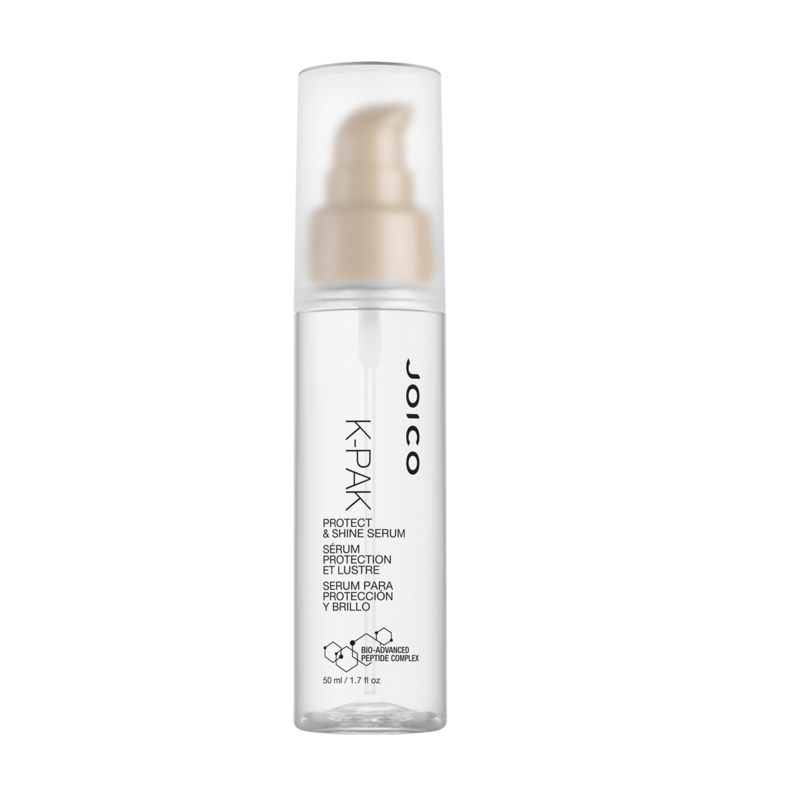 "Love this serum it smooths dry hair and adds shine without dulling the color."